The applicator is a brush with plastic bristles and I find it works really well. It helps get nice lines around the edges. This colour is really sheer and on me it gives a MLBB effect. Here’s a half and half comparison so you can see what I mean. 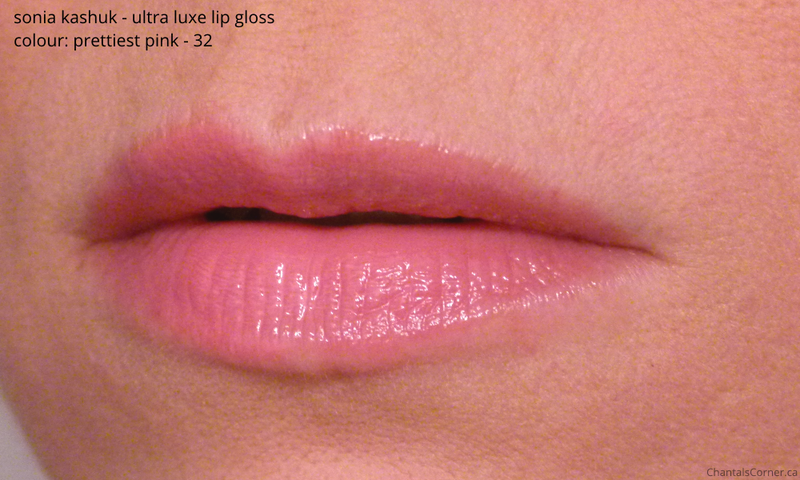 As I mentioned above I’ve been wearing this lip gloss all the time (when I do my makeup). 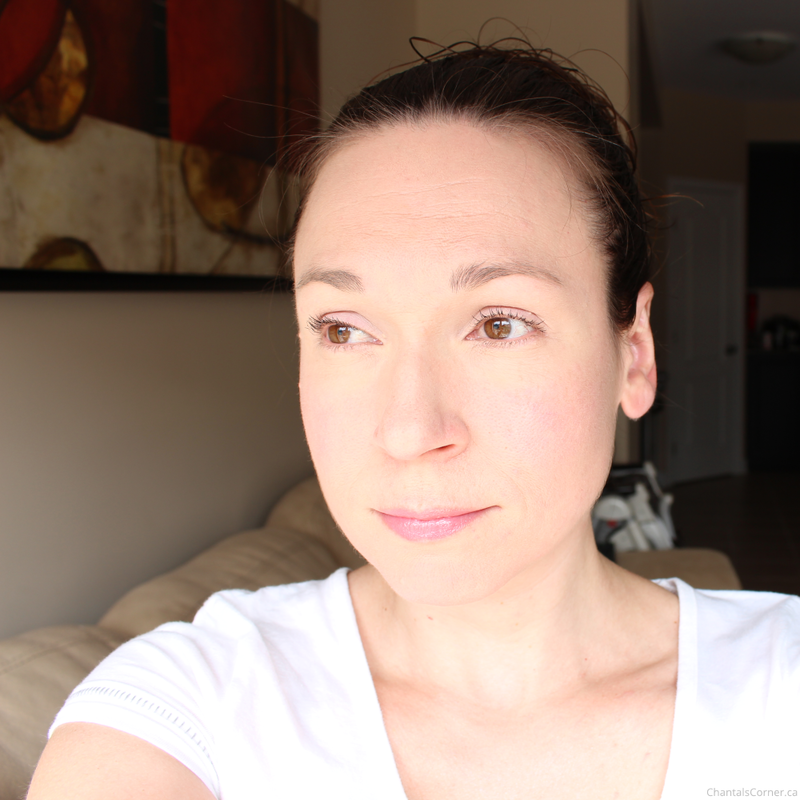 I just love lippies that enhance my natural colour, and this one is just perfect! 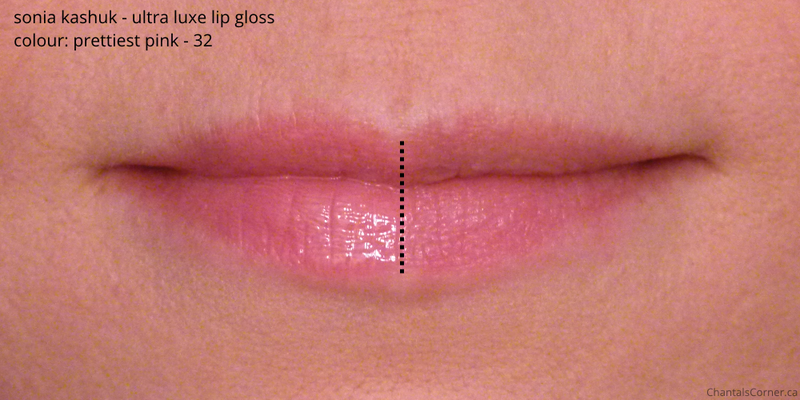 This is a NON sticky lip gloss – yay for us long-haired gals! 😀 It feels great by itself, but I prefer to add it over a lip balm because it just makes it feel creamier. As for staying power, it’s not the longest given it’s not a sticky gloss. I also drink LOTS of water so I reapply every hour or so. As far as scent goes, I’ve never noticed one. I actually just went to smell it to see if it had one, and it does kinda smell (stink) just a wee bit, but as I just said, I’ve never noticed a scent so it’s only if you stick it right under your nose. In short: I love it! 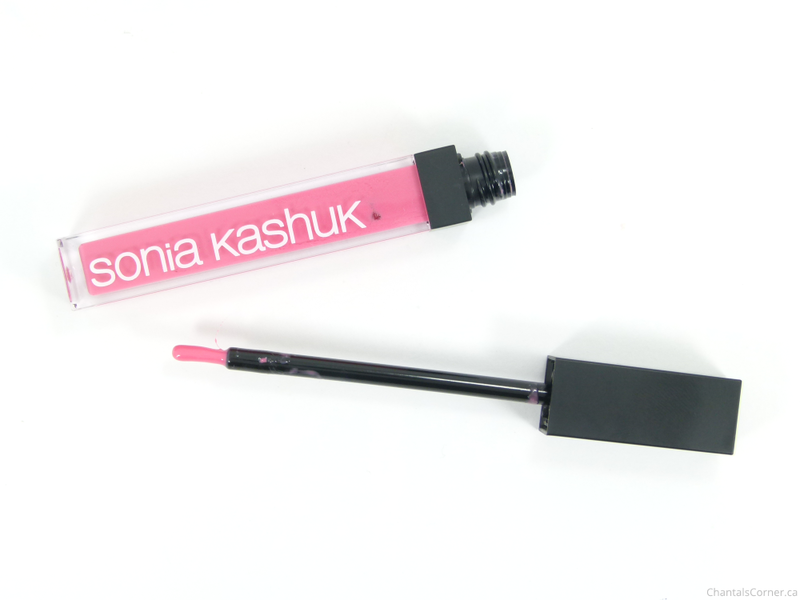 Did you grab some sonia kashuk products before Target left Canada? Any lip gloss?